You probably have a favorite aviation museum. Everyone has something close to home that they love... or one that they've visited at some time. And chances are we haven't had time to write about your favorite air museum yet. Or maybe we just haven't had a chance to visit yet. that we wish we could get to, but there's just not enough time! We're counting on you to tell all of us.... that would be us and our readers... about museums you've discovered and liked. If you've just visited a great museum, tell us about it. We'd love to read about it, and it will help our readers too. Scroll to the bottom of the page to see if others have told us about their favorites. You can comment on them if you'd like. Maybe add to their information. We need all the help we can get. Do You Have A Favorite Aviation Museum? If you have a favorite aviation museum, please share it! Antique airplane lovers also love airplane museums... we'd all like to hear what you'd recommend. 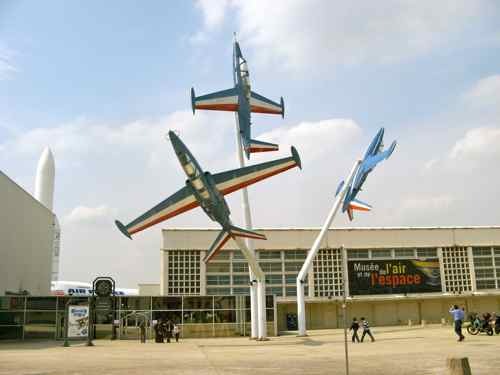 There are great aviation museums all over the world. Please tell us about aviation museums you're affiliated with or airplane museums you've visited. Why do you like them? What aircraft do they have on display? Next, Tell Us Why It's Great! Just one or up to four! Click below to see aviation museums recommended by aviation enthusiasts who have visited this page. They love airplanes as much as you do. Sometimes museums send us information and ask us to print it. We're happy to do that. WAAAM sent us the information above originally.... then they sent us more that we put up as a dedicated page. The Vintage Flying Museum sent us a great story about upgrading the lighting in their museum hangar... it deserved a page of its own too. It gives you a peek at what it takes to keep these antique airplanes and warbirds flying!